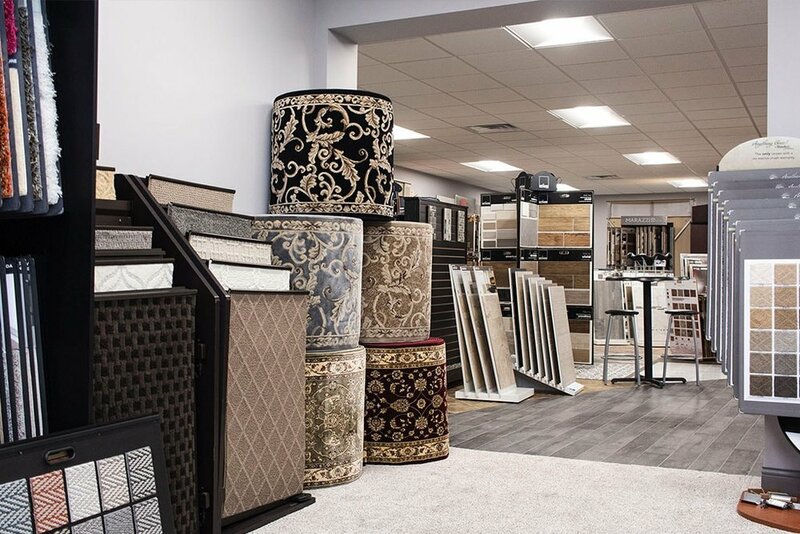 In January 2018, Derry and Sherri purchased the old H&E Litho offset printing company building along route 322. 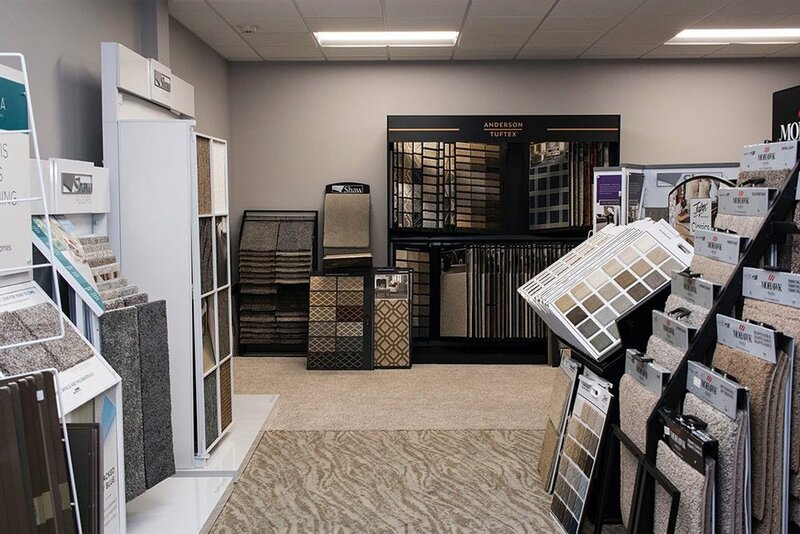 Within 12 months, they renovated almost the entire space to make it ready for D&S Flooring’s warehouse, offices, showroom, and parking space. 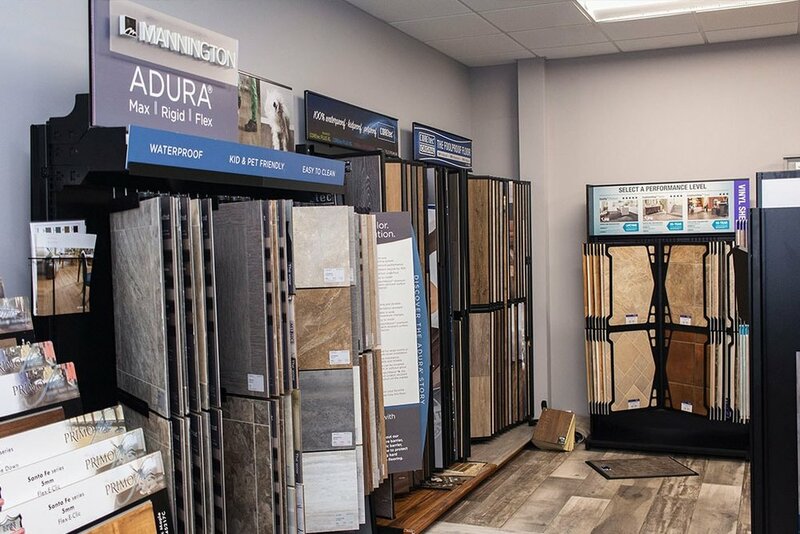 Here’s a photographic tour of the new showroom space. 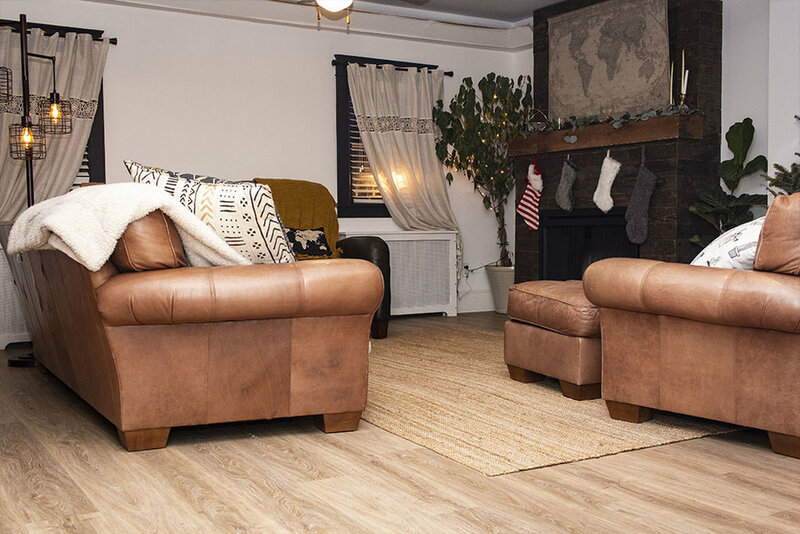 As you walk in, make yourself comfortable and refresh yourself with some free and delicious coffee! 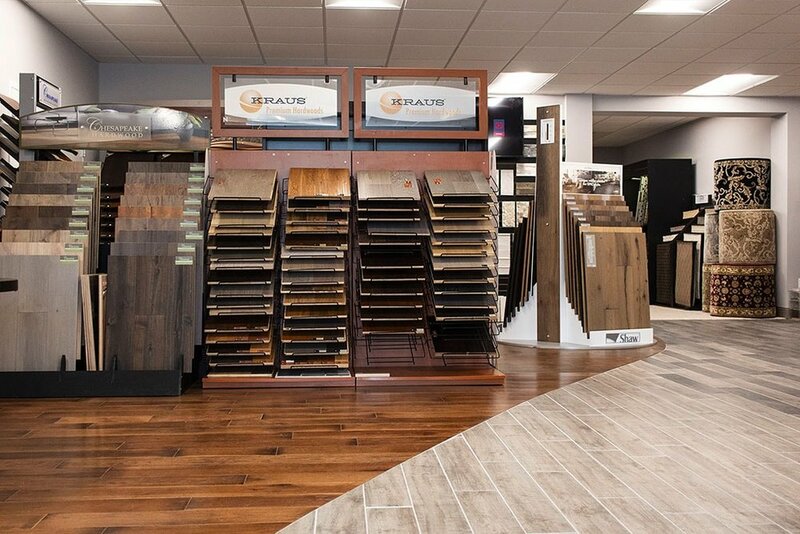 On the left side of our showroom as customers traverse the porcelain-tile path, they will find our hardwood flooring displays. 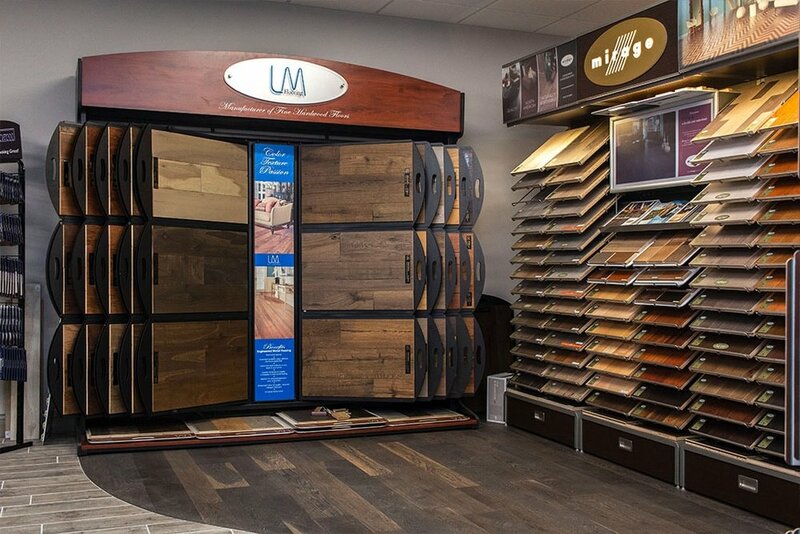 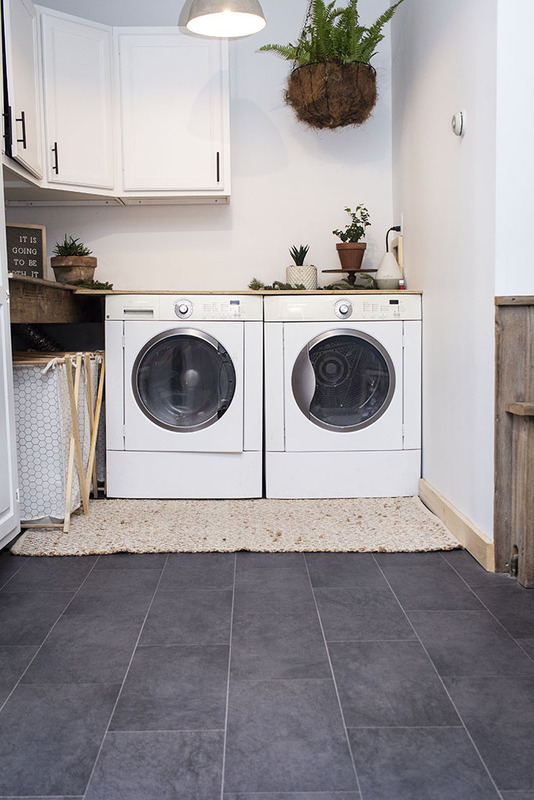 We have products from LM Flooring, Mirage Flooring, Somerset, Chesapeake, Mannington, Shaw Floors, Kraus, and other companies for customers to see and feel with their own hands. 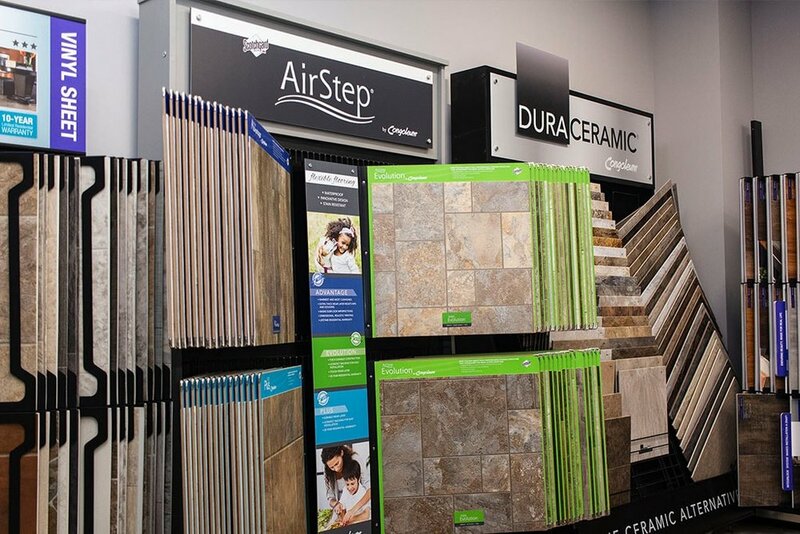 Some of these products are even installed underfoot. 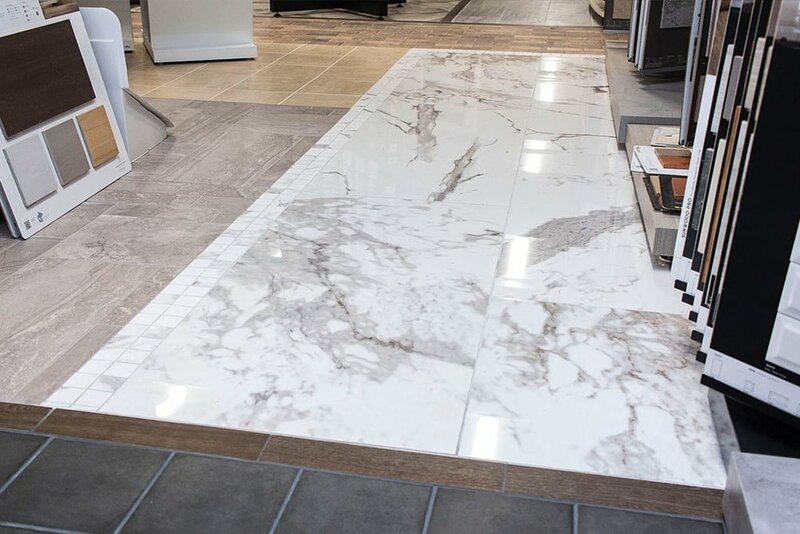 With more varieties of tile than we’ll detail here, customers can get an up-close look and feel of a variety of products installed on the floor as well as displayed on racks from companies including Daltile, Marazzi, Shaw, Interceramic, Artisan, Chesapeake, American Olean, Glazzio, and Conestoga Tile to name a few. 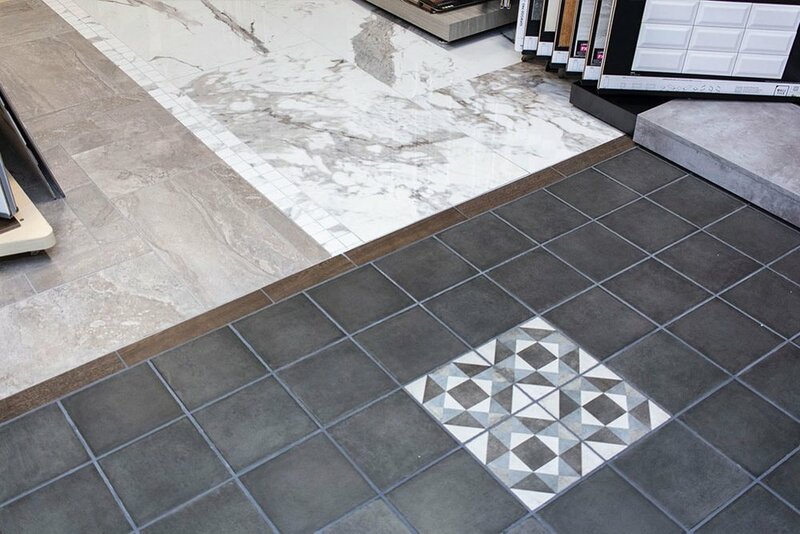 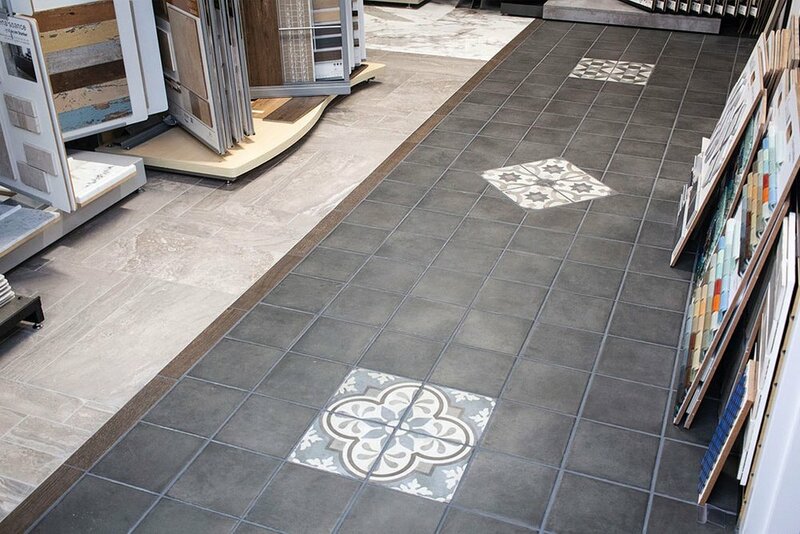 Some up-close shots of the different types of tile installed on our showroom floor. 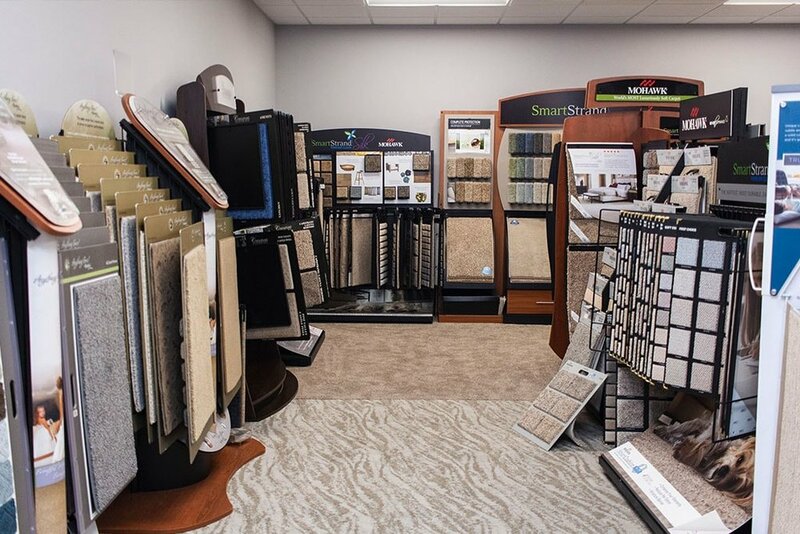 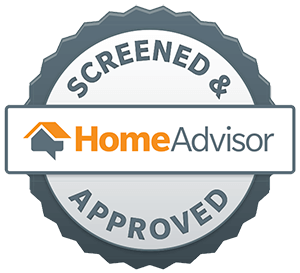 In addition to residential solutions, we offer a number of options of commercial grade vinyl, linoleum, and carpet products. 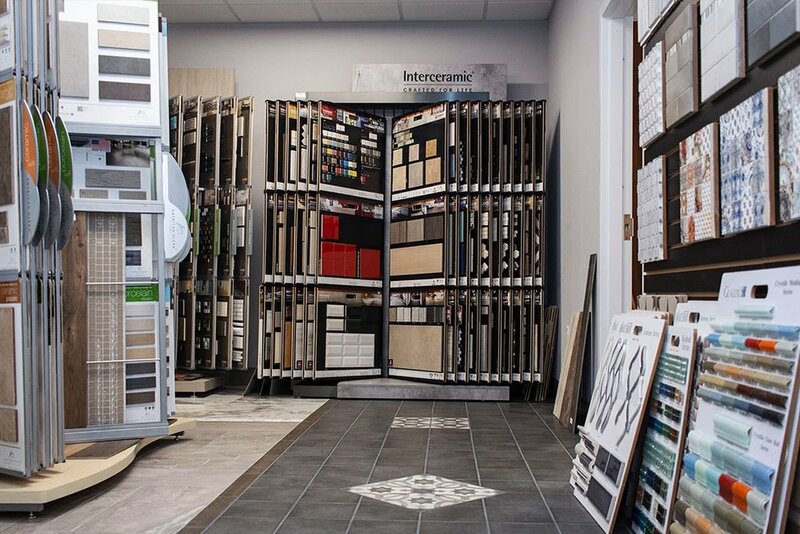 Customers can access a wide variety of choices in our dedicated commercial space. 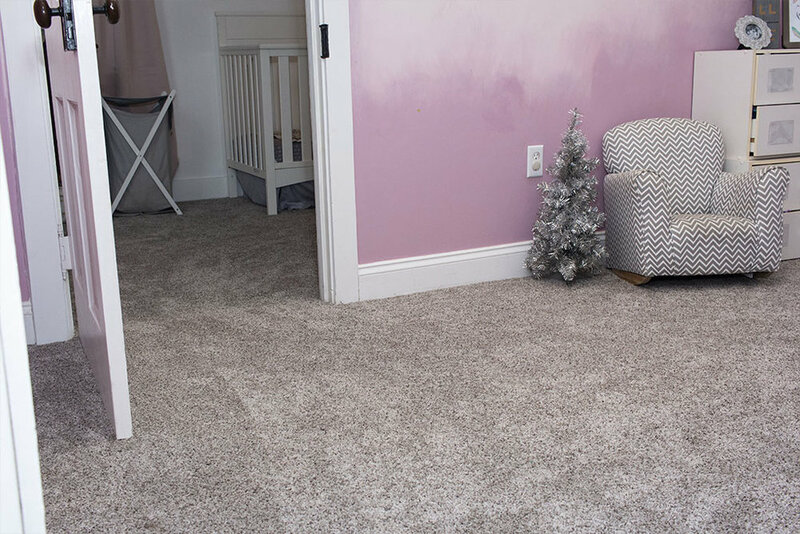 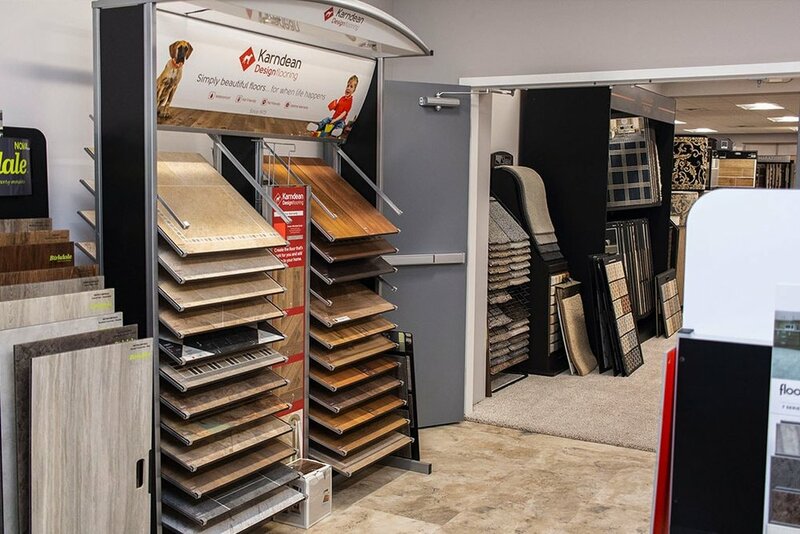 With three different products installed on the floor with our charity carpet pad and a large number of displays, customers can get a real feel and look at their carpet options up close. 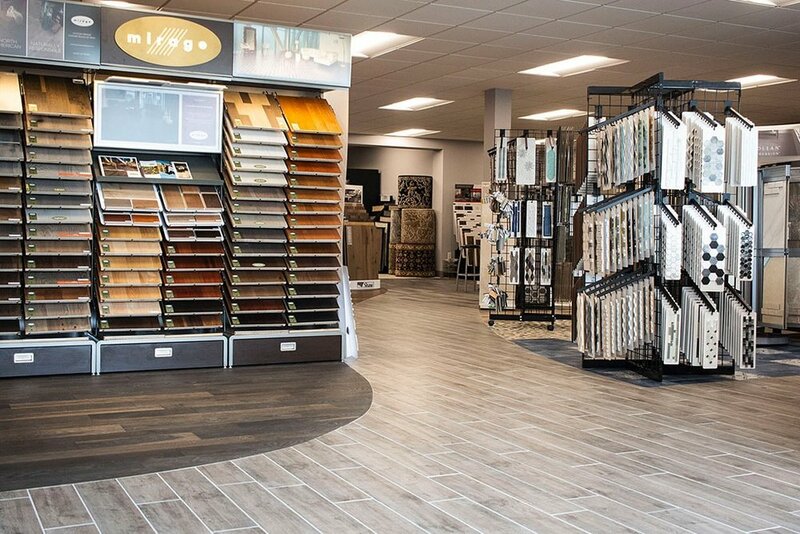 Take a soft walk through this room and your hands on products from Mohawk, Shaw Floors, and Anderson Tuftex. 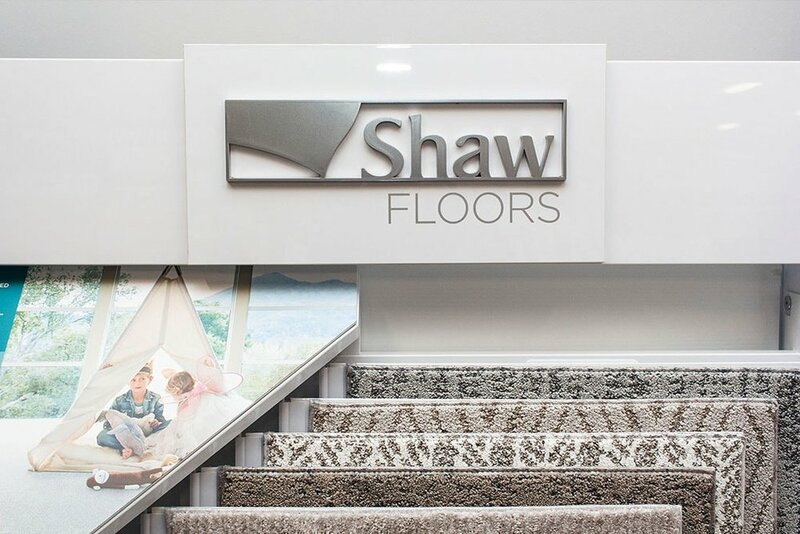 Here’s a shot of the installed carpet up close as well as some more up-close shots of our carpet displays. 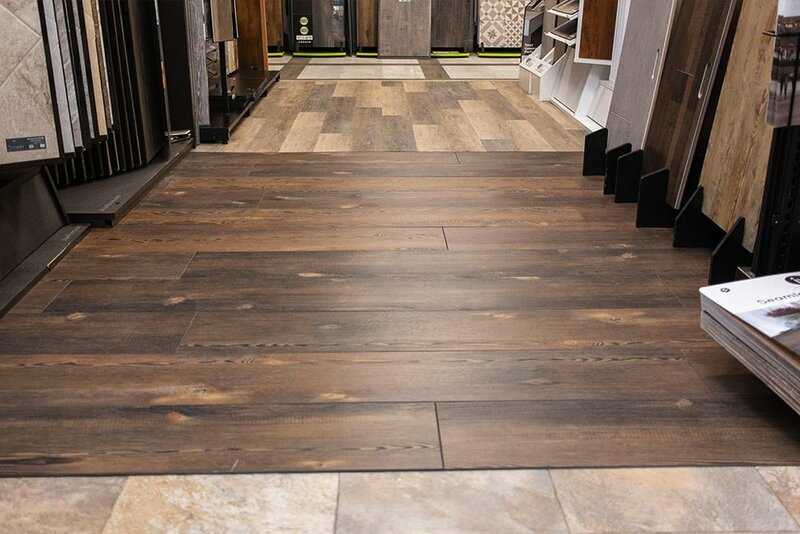 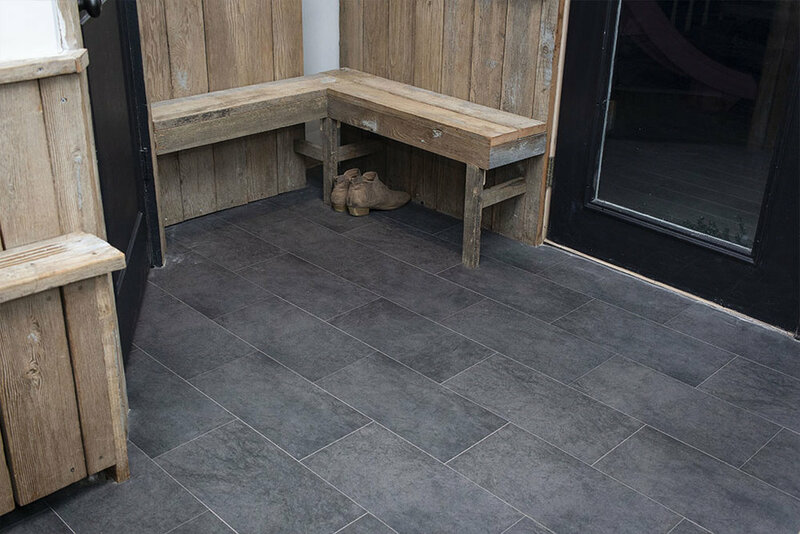 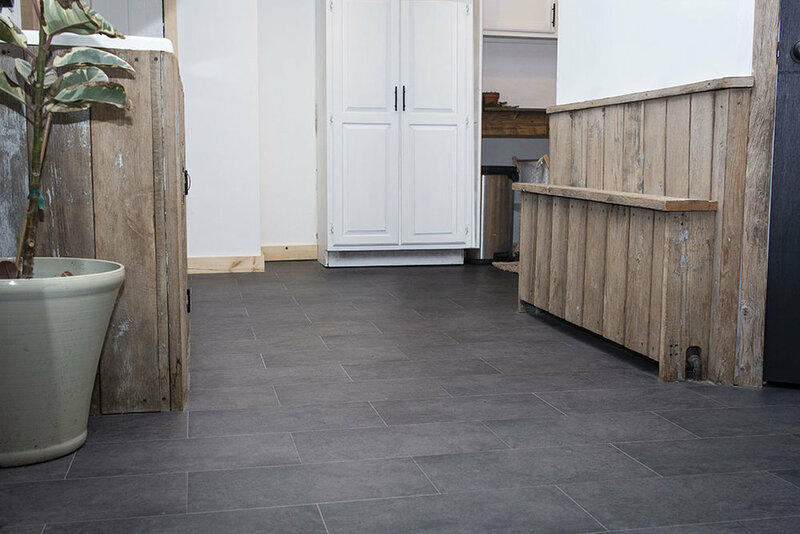 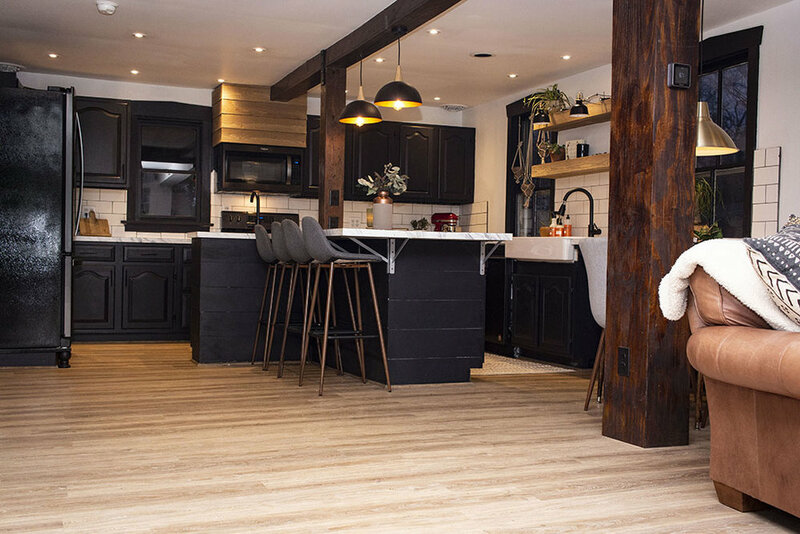 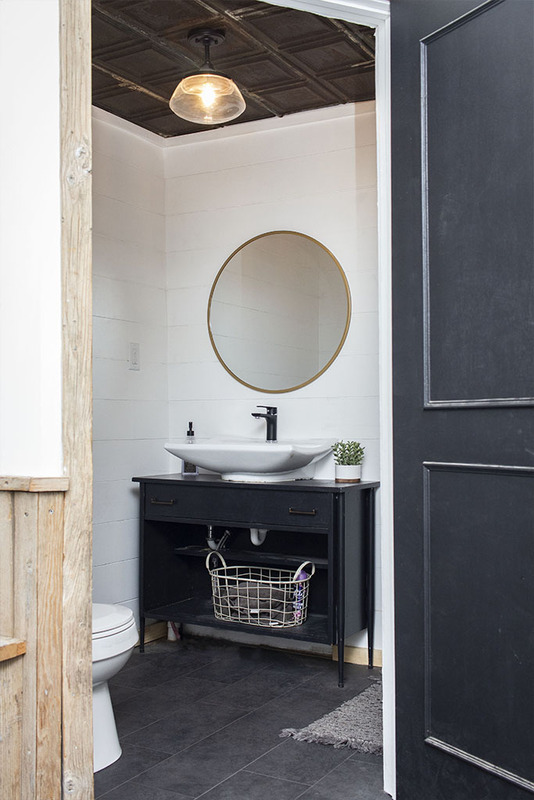 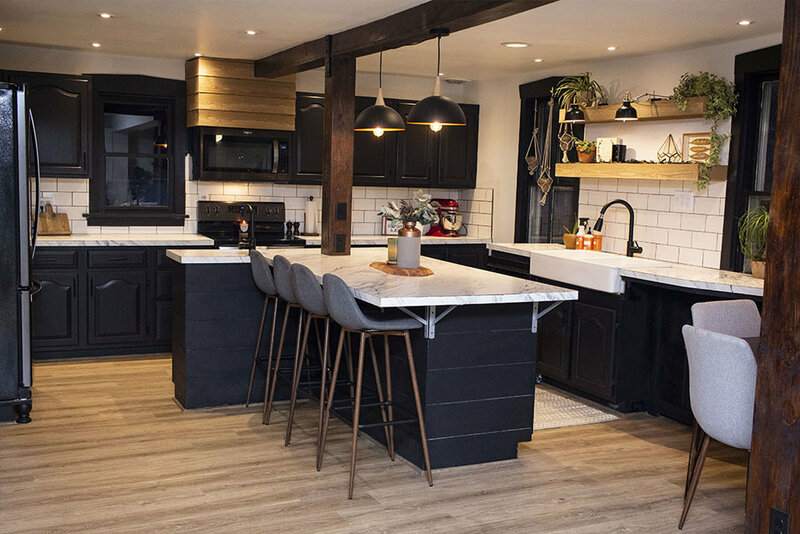 The most popular hard surface product in the US, vinyl flooring has a number of looks and types, and we’ve installed a bunch of them on our floors for our customers to be inspired. 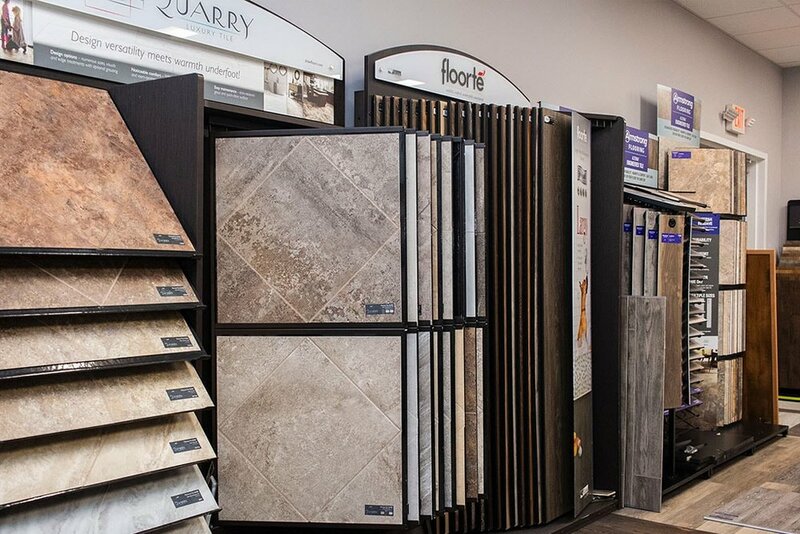 Check out both glue-down and floating LVP as well as sheet vinyl from a number of manufacturers in our vinyl room including Tarkett, Coretec, Mannington, Shaw, Karndean, Congoleum, Armstrong, and Nova floors. 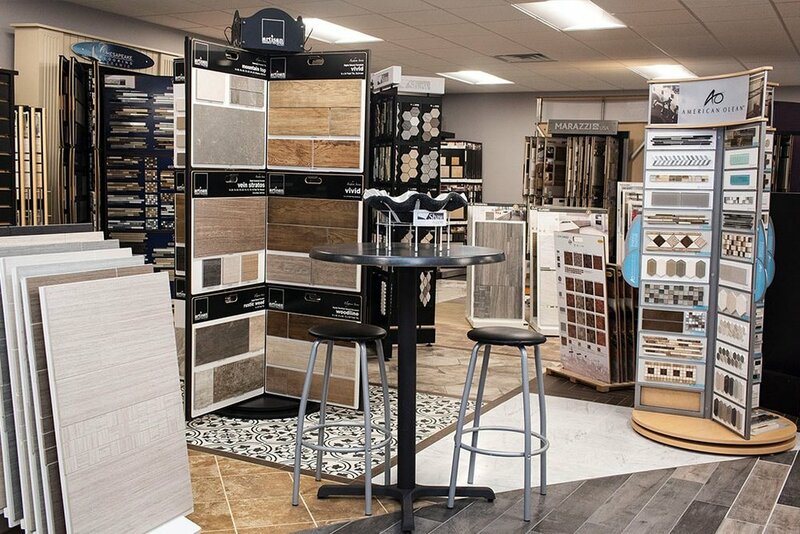 Here are some close-up shots of vinyl products installed as well as some of our favorite vinyl flooring displays.